Goritsy, Yaroslavl, Uglich, pronouncing these cities may take a try or two, but Moscow rolls right of the tongue. After your leisurely cruise along Svir River, we arrive at the heart and capital of Russia. Moscow is situated right along the Moskva River in the Central Federal District of European Russia. The major political, economic, scientific and cultural centre of Russia is riddled with famous sights that will leave you breathless. As you disembark, be sure to take in all that this megacity has to offer. Stretch your legs as you are taken on a scenic tour across the city and learn more about Moscow and her history. Your last two days will surely be unforgettable. Moscow is well known for architecture, more specifically, historic architecture. Fall prey to the alluring charms of the buildings scattered across the city. 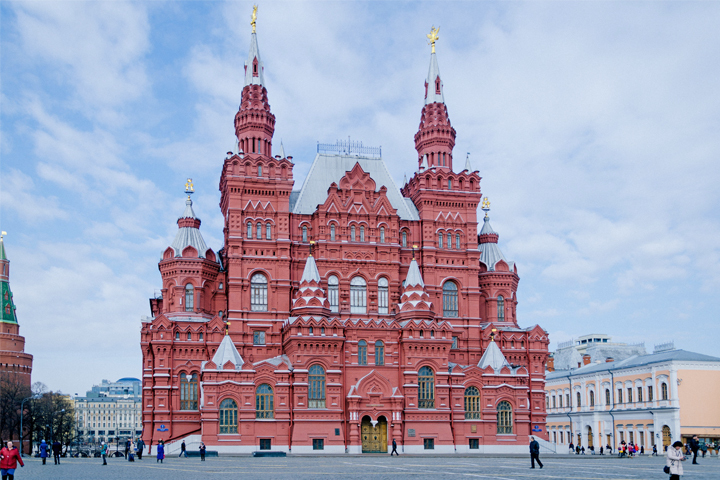 Throughout the history of Russia, numerous structures have been built with the utmost care and attention to detail. One such example would be the renowned Seven Sisters. These buildings look exactly the same, but differ in function. 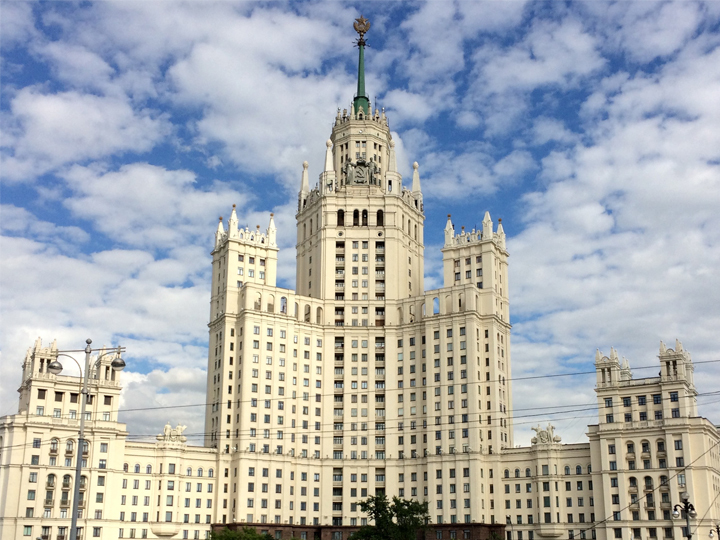 Two are administrative buildings; two are hotels, two blocks of flats and last but not least, the Moscow State University. Another point of interest is the tallest freestanding tower in all of Europe: Ostankino Tower. Construction of this magnificent tower started in 1963 and finished in 1967. The tower was built in commemoration of the 50th anniversary of the October Revolution. This T.V. and radio tower stands at an impressive 540 metres tall. 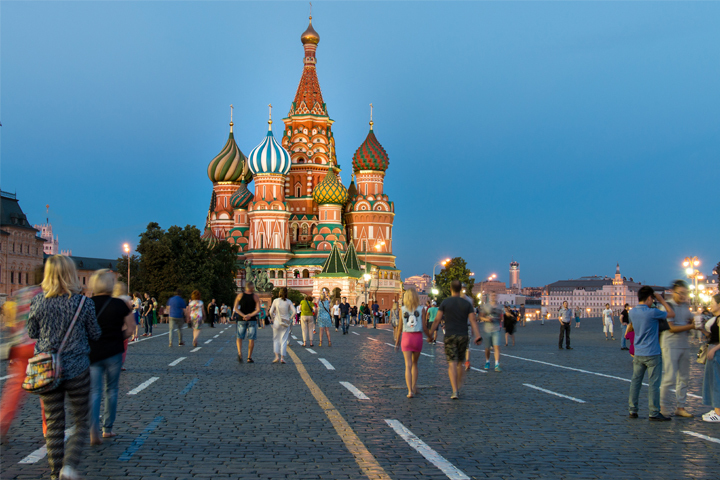 Truly one of Moscow’s most famous sights is without a doubt the Red Square. It tells the story of the long and dramatic history of the country. Also known as the ‘Fire Square’, this name derived from the numerous times that Medieval Russia was set ablaze and remains to be the heart and soul of the Motherland. During your last day on this memorable trip, why not spend your free time exploring the streets and sample some local delicacies before dinner? Visit local eateries and cafes and treat your palate to new flavours. 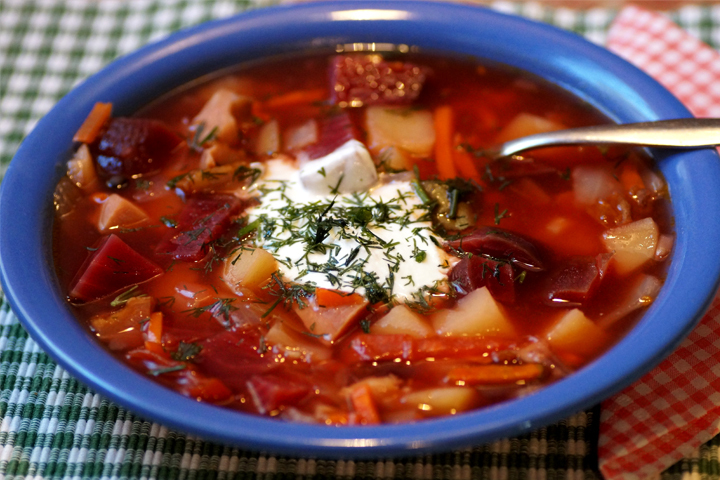 We suggest trying a hearty bowl of Borscht. Although many consider using beets as a soup base strange, don’t be fooled as this culinary dish is filled with tender meat and sautéed vegetables, including cabbage, carrots, onions, and potatoes. Who says you can’t have dessert before dinner? Russians love their ice cream so why not satisfy that sweet tooth with a serving of ‘Morozhenoe’? Just be sure to save room for dinner! Remember, your visit to the capital of Russia is only one of many adventures that’s in store for you along your relaxing river cruise. Discover what other surprises and delights await you on your Russian Waterways journey!